The student grants the parent borrower Third Party Access to the form. The parent completes the WSU PLUS Loan Application. Log in to the WSU portal at myWSU with your Friend ID and password. Click on the Third Party Access tile. On this screen select the “View Info” box of the student you want to review. If you have multiple students at WSU who have authorized Third Party Access, you will see them listed on this screen. Upon selecting the student, the parent or third party will see the areas they are authorized to view. The user can then select the option to view. 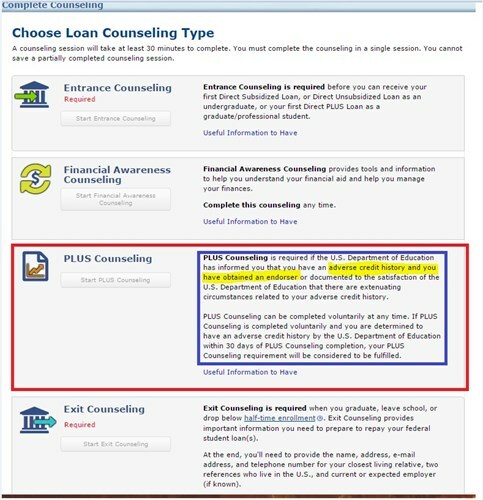 Select the Parent PLUS Loan Application. Fill out the application with your demographic information. The form will be asking you some questions about history or ties you may have with the school. This is so we don’t create duplicate records for you in our system. Click “Submit.” A confirmation page will pop up once the form has been submitted and a confirmation email with further instructions will be sent to the student and the parent. Parent borrower must complete a Master Promissory Note (MPN). Visit the Direct Loan website at studentloans.gov. Click on “Completed Loan Agreement (Master Promissory Note)” and select the “PLUS MPN for Parents” link to complete the MPN electronically. Complete your MPN by signing it with your FSA ID. Pending the successful completion and approval of the credit check and the loan process, the funds will deliver to the student’s WSU student account. 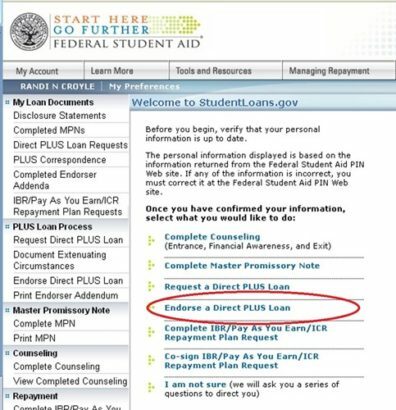 Federal direct loans — If you have any questions about your Parent PLUS credit decision (denial of credit, loan amounts, etc. 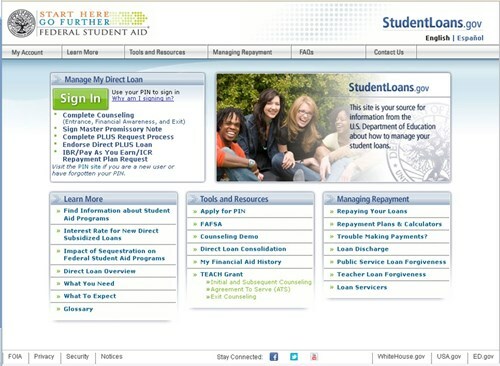 ), call the federal Student Loan Support Center toll-free at 1-800-557-7394. Financial aid questions — Contact Student Financial Services for help with any aspect of financial aid at WSU. myWSU technical support — If you are having trouble logging into myWSU with the correct information, please clear your browser’s cache, history, browsing data, etc. If this does not work, please try another browser or contact CougTech at (509) 335-4357. 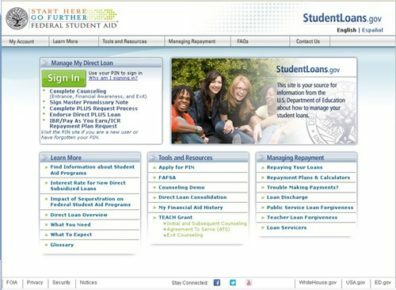 WSU uses its own “in-house” loan application for processing Direct PLUS Loans found on myWSU versus the federal government’s application found on studentloans.gov. SFS’s PLUS application is only accessible to you once Third Party Access has been granted to your parent borrower and in turn, links it directly to your myWSU account. Both your parent borrower and you will receive all communications about the loan’s status; where just your parent receives this information when the application processes through the federal government’s system. Troubleshooting is quicker and updated more often with WSU’s application versus possible delays in the federal application. This allows SFS to be more responsive to your needs. Because the application links directly with your myWSU account, duplicate applications for the same loan are eliminated. The borrower must not have adverse credit history. The maximum loan amount is the student’s cost of attendance (determined by WSU) minus any other financial aid received. Appeal the credit decision: Appeal directly to Federal Direct Loan (FDL) Program. They can be contacted at 1-800-557-7394 (Option 3) for more information. Add an endorser (co-signer) to the loan: Obtain a credit-worthy endorser (co-signer). An endorser is someone who does not have an adverse credit history and agrees to repay the loan if the student is unable to repay it. The endorser may not be the student. An Endorser Addendum must be completed by the loan co-signer, and submitted to the Federal Direct Loan program for processing. For instructions, please contact Direct Loan Applicant Services at 1-800-557-7394 (Option 3). A parent with an endorser must complete the MPN each year. In either of the above cases, it is a requirement that the student 1) Contact our office to let us know if they are pursuing one of the above options, and 2) Complete PLUS Counseling at studentloans.gov before the loan funds can be disbursed to the student. The endorser agrees to repay the Direct PLUS Loan if you do not repay it. The endorser cannot be the student on whose behalf you are borrowing. 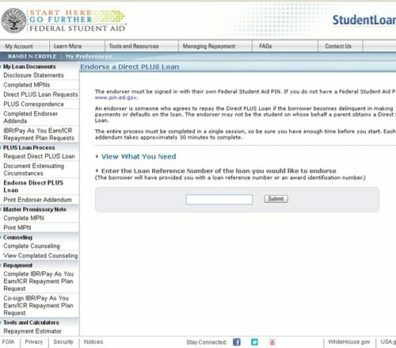 Create an FSA ID and sign in at studentloans.gov. Department of Education will send our office the updated file once the PLUS Counseling has been completed. It can take the university a few days to receive the file and get it updated in myWSU. 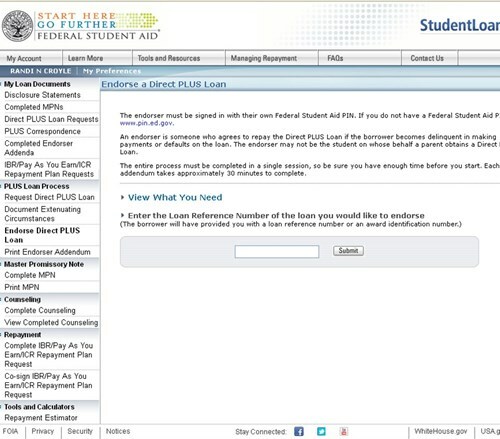 If a Parent PLUS loan application is unsuccessful, a student may request to borrow additional funds through the Federal Direct Unsubsidized Loan program.You, the student, may only apply for the additional Direct Unsubsidized Loan if your parent(s) have been denied. If the Parent PLUS Loan is later approved, the student will no longer be eligible for the additional Direct Unsubsidized Loan. Once WSU is advised that you are not pursuing the PLUS loan, and you’d like the unsubsidized Loan funding offered to you, the PLUS loan will be cancelled and a supplemental direct unsubsidized loan will be offered to you. The maximum additional amount you may request is $4,000 per year for freshmen and sophomores, and $5,000 per year for juniors and seniors. You will then need to accept the additional loan in myWSU. Parent PLUS loan amounts will vary widely. You parent can borrow as much as they like as long as they are not exceeding your total cost of attendance.